We've spoken about how Vera&John casino reward loyal players. 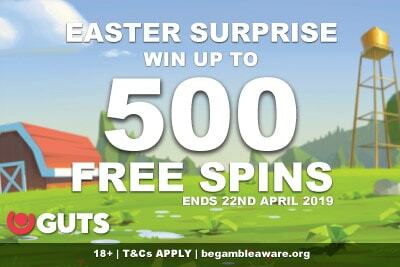 In this post we are going to reveal to you how you can get 100 free spins a week or 500 free spins a month at the bright blue casino. 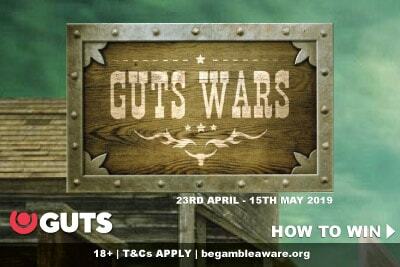 But once you’ve taken your first casino bonus you’re left wondering… what next? Just the occasional free spins bonus on new slot games? That’s why you choose mobile casinos with decent loyalty programs and casino rewards who will give you bonuses for playing. Usually, you spin, you get points, you get cashback. That’s the simplest answer. But what if you were rewarded for pretty much anything you did in the casino? Logging in? Posting reviews? Verifying your account? Playing your favourite slots? We are going to assume, like us, that you love free spins. 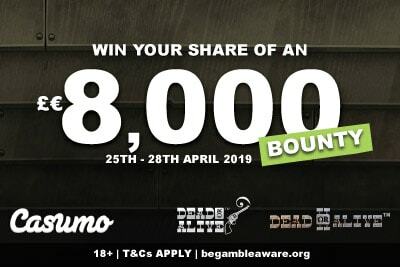 So we will break down four different examples of how you can be guaranteed to get an easy 100 free spins a week or 500 free spins in one month at the bright blue casino. Sometimes you’re in a mood to play and you want to play and accumulate points fast. Maybe you’re just trying out Vera & John casino and don’t want to wait around a month to claim a bonus. Whatever the reasons, here’s how you beat the system. I don’t want to wait, give them to me in 3 days! Voila! Enough coins to get your one hundred free spins. Easy peasy, and you don’t have to invest a lot to get a whole load of spins. So you’ve tested Vera&John mobile casino and have decided to stick around a while. How do you make the most of your time and ensure you get a generous reward by the end of it? Verify your account and change your username from the default username given to you. Do either one of these scenarios and you’ll get enough coins to buy an impressive 500 free spins at the great casino Vera&John. 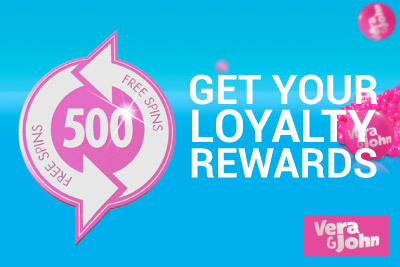 The average player gets a minimum of 495 free spins during a short stay at Vera&John and the player with the record for the most free spins claimed is an impressive 32,000. Where will you sit? Will you make the most of this generous casino? Play now and find out.